Beer can chicken has never tasted so good. 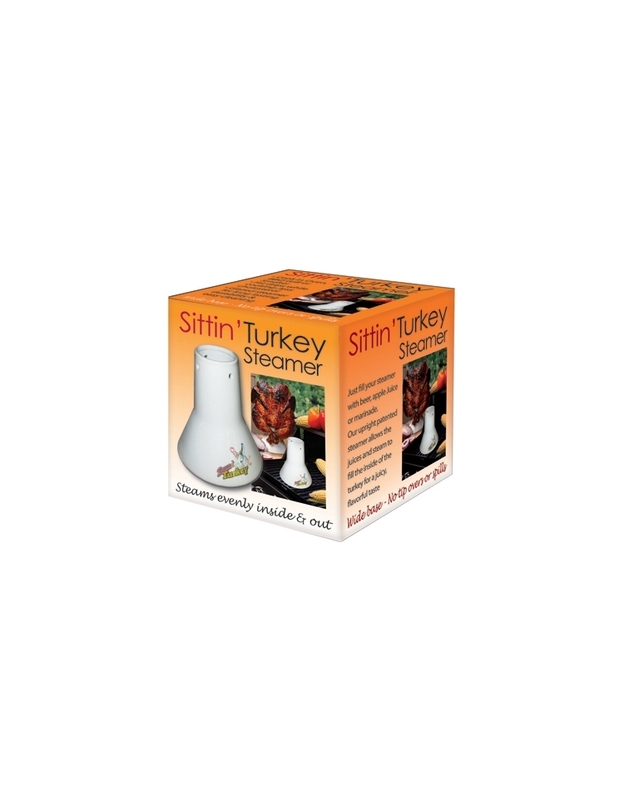 Grill to perfection with the sittin' chicken or sittin' turkey flavor infusor. Simply pour in your favorite beer, add a few dashes of seasoning and slow cook on the grill or oven for the most tasty chicken ever. 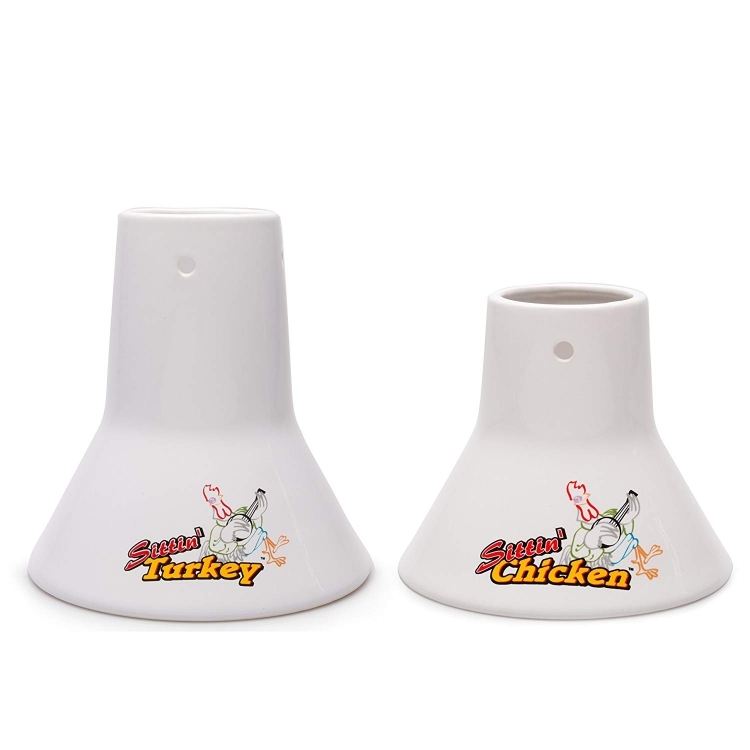 These two ceramic cones, one for a chicken and one for a turkey, make an easier and safer alternative to cooking with an actual beer can. The method is the same: liquid is put in a cylinder that goes up inside the bird's cavity, and as the liquid heats during grilling it creates steam that keeps the bird moist. 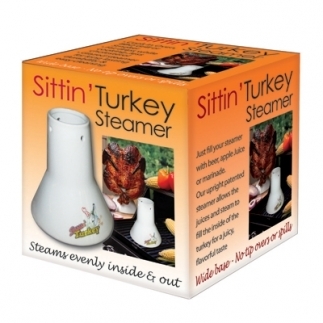 Beer isn't even required-the Sittin' Chicken or Sittin' Turkey cones can hold butter, olive oil, garlic, fruit juice, soda, or chunks of onion, apple or lemon. 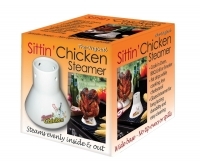 For extra flavor marinade can be injected into the bird and the outside rubbed with spices. An onion or potato stuffed in the neck opening of the bird helps keep the moisture in. After a couple hours of slow cooking on the grill, the result is a bird crispy on the outside with flavorful and moist meat.